My days are never not busy. Whether its spent running errands, entertaining 2 little ones, or trying to squeeze in work, I somehow forget to watch our water consumption. We all know water is SO important to our everyday health but making sure to drink enough water helps us maintain a healthy lifestyle while staying hydrated. So, keeping track of how much water my daughter drinks is incredibly important to me. However, not as easy as it sounds. 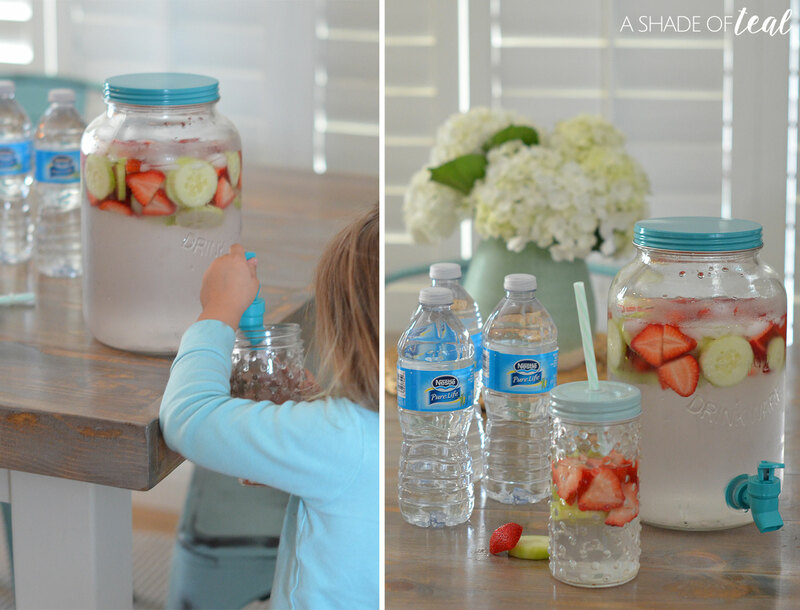 This is why I started making Fruit Infused Water, with the hope she’ll start drinking more water! 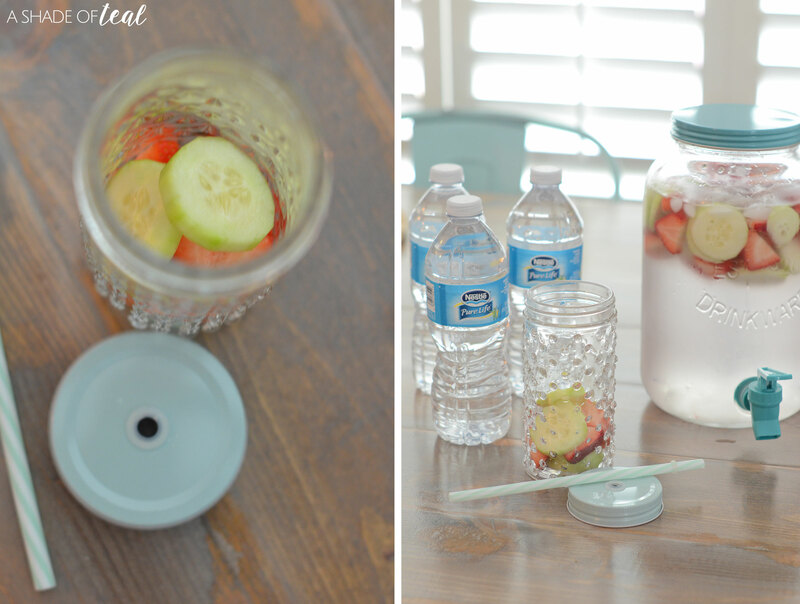 I’ll share how to make her favorite flavor, Strawberry Cucumber with Nestlé® Pure Life®! 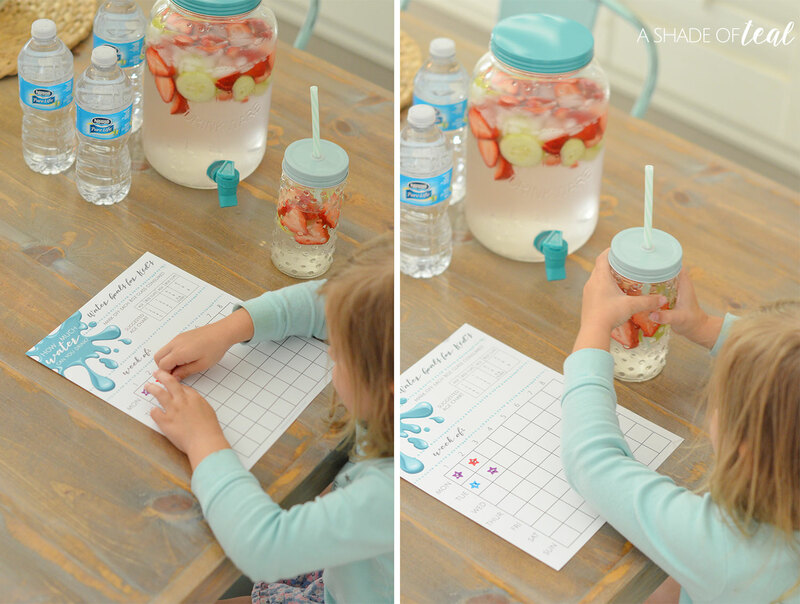 Plus, I have a awesome printable for your little one to get more excited about water. Getting any toddler or kid excited about water is so hard. But introducing fruit to their water can make a huge difference. I know I struggle getting her to drink enough each day, but at the same time I also struggle keeping track everyday. A huge help has been this printable I created to track her daily water consumption. Every time she drinks a 8oz glass she gets to place a sticker on the chart; and she loves her stickers! You can download a copy of the printable here. 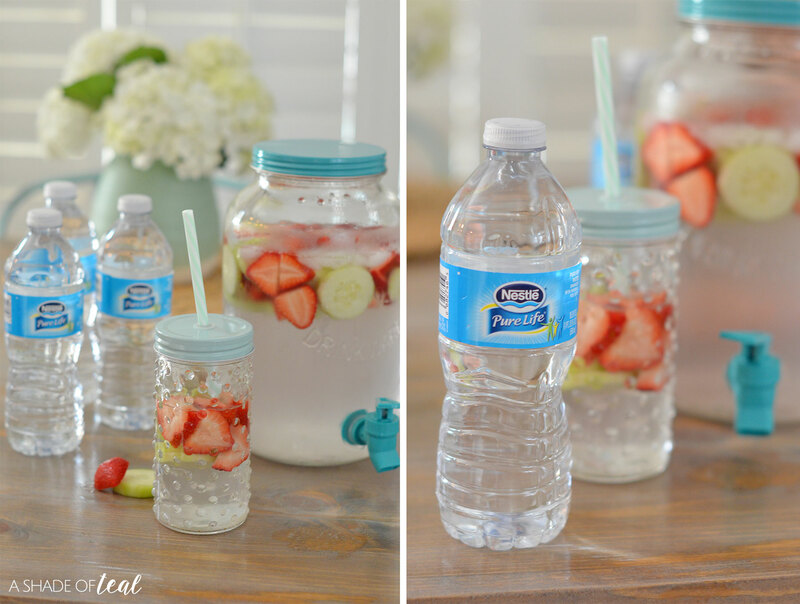 Now to really get them to drink their Nestlé Pure Life water you’ll want to try this Strawberry Cucumber fruit infused water. Step 1 // Purchase water! I personally love buying Nestlé® Pure Life® water since they’re committed to delivering great-tasting water. Every drop in every bottle is filtered through a 12-step quality process. They also enhance their water with a unique blend of minerals for that great taste. 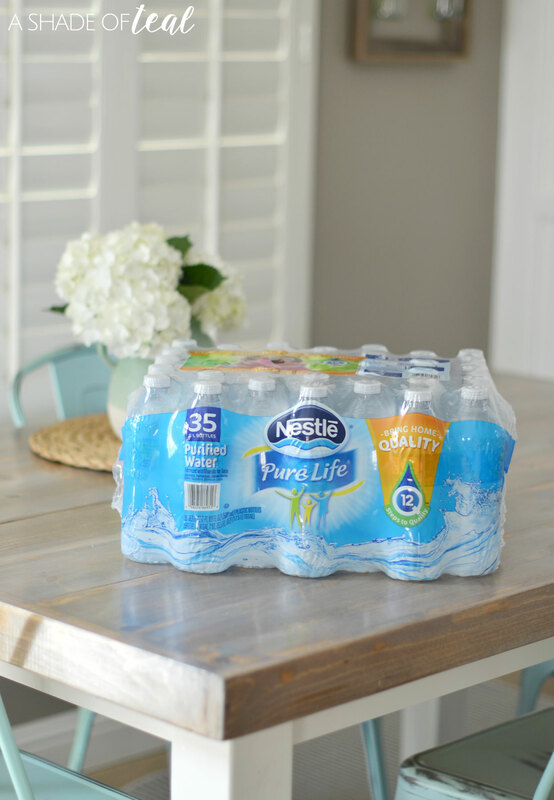 Make sure you shop for Nestlé® Pure Life® at Walmart since they sell 35-pack’s! Nothing better than receiving a great value; since you get 3 more bottles for the same price as the 32 pack! Step 2 // Purchase your fruit! Wash and cut up strawberries and 1 cucumber. I like to peel the cucumber but it’s not necessary. Step 3 // Start pouring water into a pitcher. This is where the little ones can help! Step 4 // Then mix in the fruit and stir. It’s ready to serve almost immediately, but you can also add a couple pieces of fruit directly to your glass then pour the water mixture over it. The fruit infused water should last a couple days if refrigerated; which I just place my pitcher directly into the fridge. Since introducing this water to my daughter, she had been drinking so much more water. Better yet, I’m doing the same! I’m so relieved to finally find something that works for both of us. So next time your at Walmart go pick up a 35-pack of Nestlé® Pure Life® water. It will be in their water aisle. 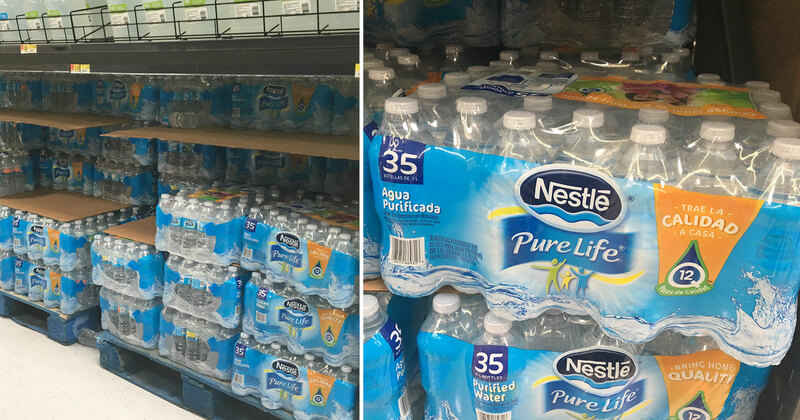 You can also find Nestle products at Walmart online, but make sure to visit the store for the 35 pk! If this version of Nestle Pure Life is not available in your local Walmart, please ask a store manager about getting the product in your area. Also, be on the lookout for a refreshed packaging from Nestle this upcoming May at a store near you! 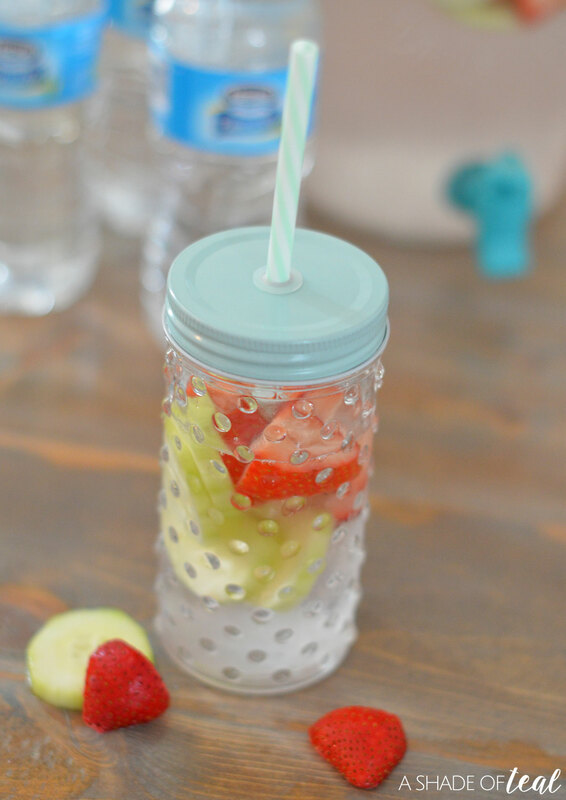 Have you ever tried Fruit Infused Water? What’s your favorite mixture? 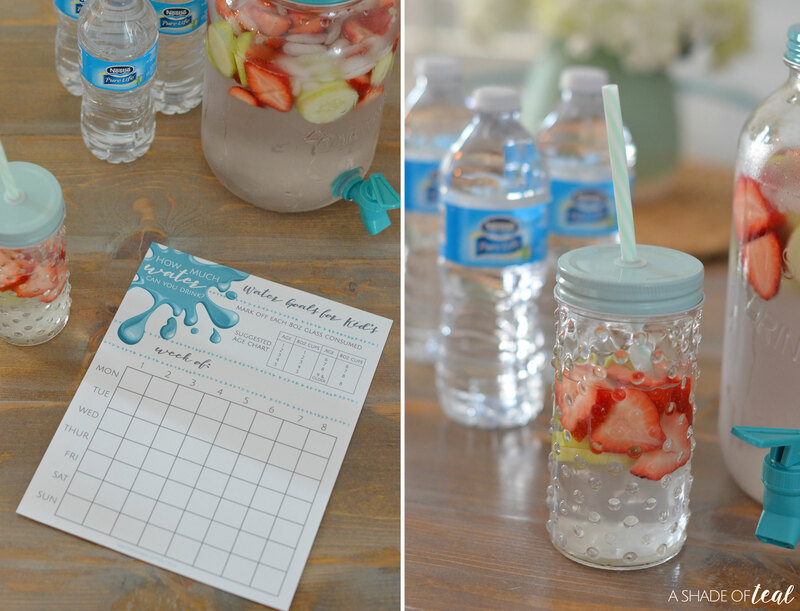 Adding fruit to water is a fun way to drink more water. 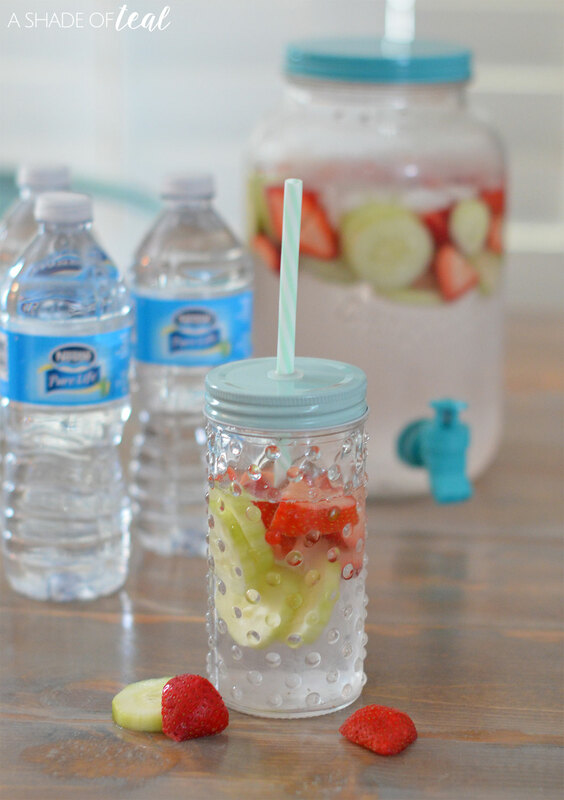 I love infused water too, especially with lemon and strawberry. Lemon and strawberry sounds delicious! I love adding fruit to my water. It gives it just a hint of flavor without adding all the sugar from add-ins. It’s much healthier! I agree, plus kids love seeing the fruit in the water. I should buy stock in Pure Life Water – we buy so much of it – always recycle the bottles too. We call water Life Juice in our home. 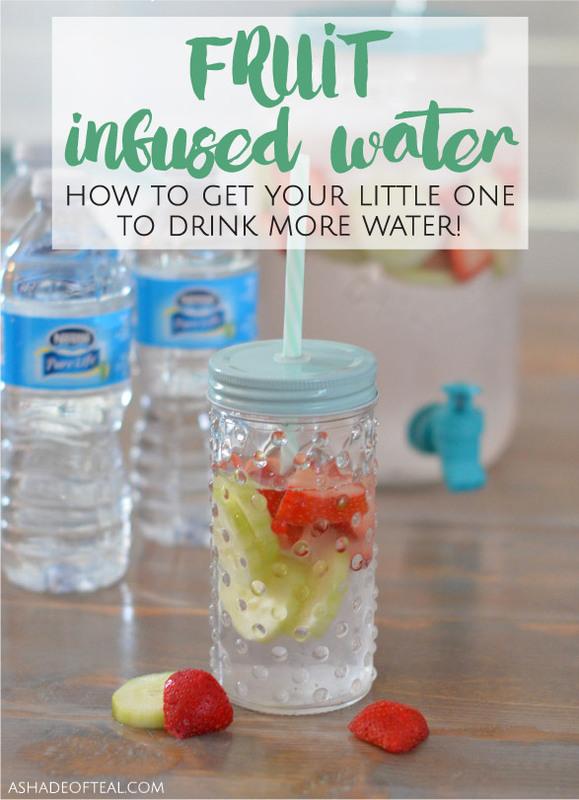 We LOVE infusing our water and you are right it is a great way to get the kiddos to drink more! That’s great Joely! I know what you mean, we buy so much of it as well! This is a great idea. Super nice. I will do this to my kid. Strawberry basil sounds delicious, I need to try that flavor next. 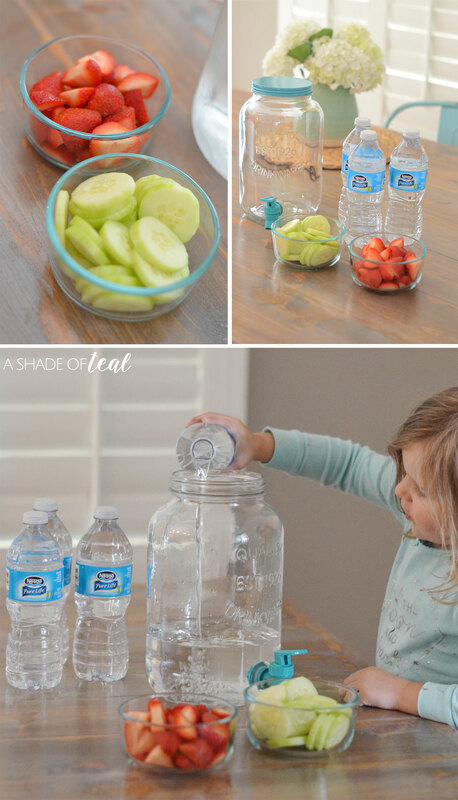 Maybe now they might enjoy fruit infused water, it never hurts to try! We had some amazing fruit-infused water at a hotel in Alabama a few years ago. This brings back fond memories of that vacation. That’s great! I always think of vacation when I drink infused water too. What a great idea to have your little one help! Kids love to eat/drink anything they get to make. I know, my daughter drank so much water after making it herself! Fruit-infused water makes it more interesting to meet my personal water intake goals. I love adding frozen mango and pineapple to my infuser bottle. I’ve never tried these flavors, they sound great. My kids love water! And adding things into it is a great way to mix it up a little bit. Summer months are always super hot and keeping hydrated is a must. I agree, anything to get them to drink helps!